At approximately 4:05pm PDT one day at least a couple of weeks ago, my Betta “Phishy” met his maker. Well, his parents are probably dead, breeding fish don’t usually live long healthy lives, but stick with me and bit a bit more philosophical then that, would you please? 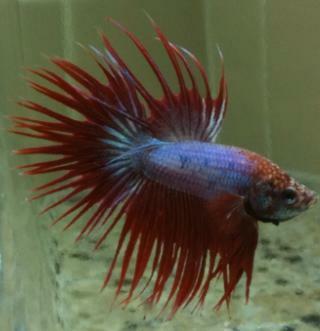 Anyway, as a result of the successful betta experiment, I’d like to introduce everyone to my new fish, RC.